Deepavali is nearing and we have to start planning for our sweets. While we have to make traditional sweets, we should also explore some new recipes. 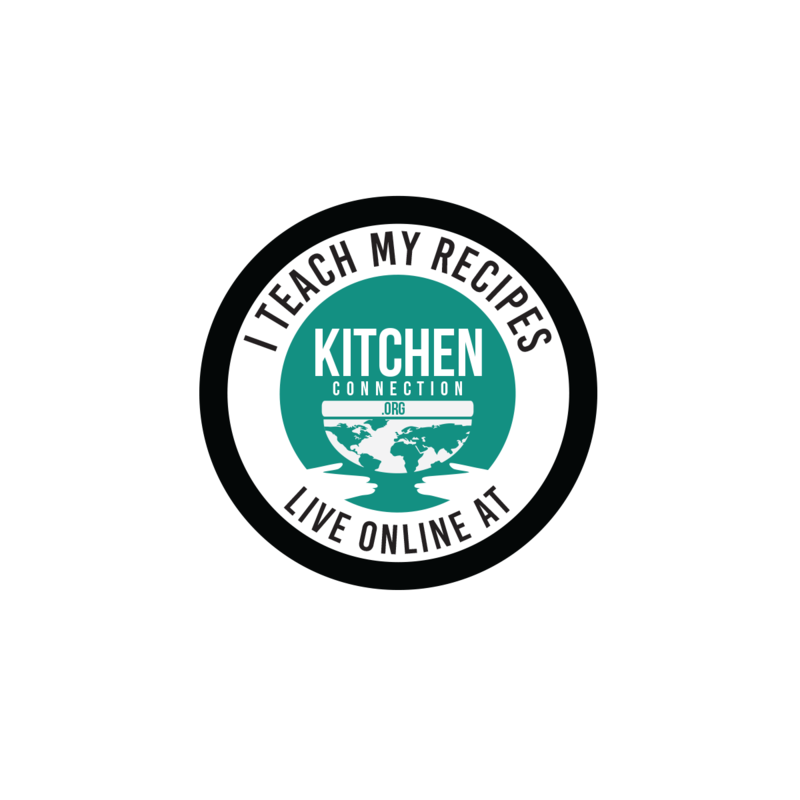 The new recipes will make this year's Deepavali very memorable for a long long time. 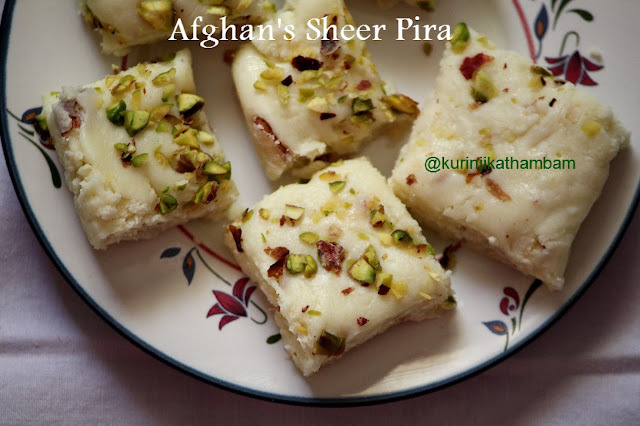 Sheer Pira is a Afghani milk based sweet. This is simple sweet which can be prepared easily in 10minutes. The sweet is also light and you will not feel heavy even after having two or three. Click HERE for Diwali Sweet Recipes. 1. Grease the plate with ghee and keep it aside. 2. Heat the water in a heavy bottom pan, add sugar and mix them well. Keep the flame in medium throughout the pocess. 3 . Mix them occasionally and cook till the sugar syrup reaches single string consistency. 4. Immediately switch off the flame and remove the pan from the stove top. 5. Add the rose water, chopped badam and milk powder to the sugar syrup. 6. Mix them fast with wire whisk or ladle without lumps. 7. After few seconds the mixture becomes thick. 8. Now transfer the mixture to the greased plate and level them using the backside of the ladle or with flatten bowl. 9. Spread the chopped pista over the flattened mixture. Then press them gently with the ladle. 9. Leave it for 5 mins. Then cut them into small squares using greased knife. 10. Again leave it for 5 more mins. Then remove the burfi from the plate and serve. 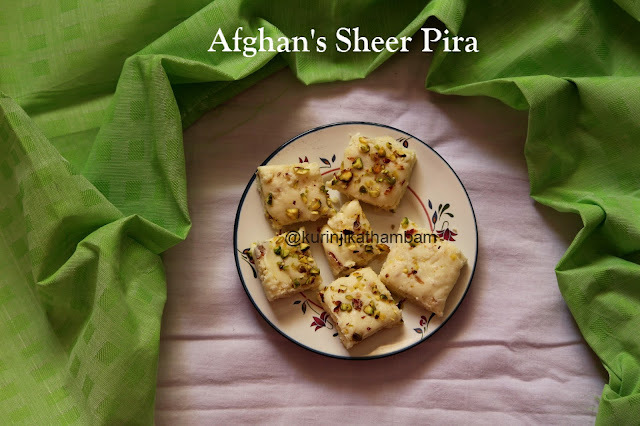 Really delicious and mouth melting Afghan’s Sheer Pira is ready! 1. Amount of nuts is your choice. 2. Add walnuts instead of badam.